My grandma taught me to sew and books and nature taught me to imagine. Creating was my dream, so one day I decided to make my dreams come true… and some dreams are better expressed with faerie wings, dragon scales, time machines or magic wands. Through my work, I try to give life to fantasies from other worlds, or search for the secret life hidden in our own world. I like manufacturing stories (and also love History, since medieval and renaissance designs are also my passion), and, above all, I try to put a part of myself in every item I craft. 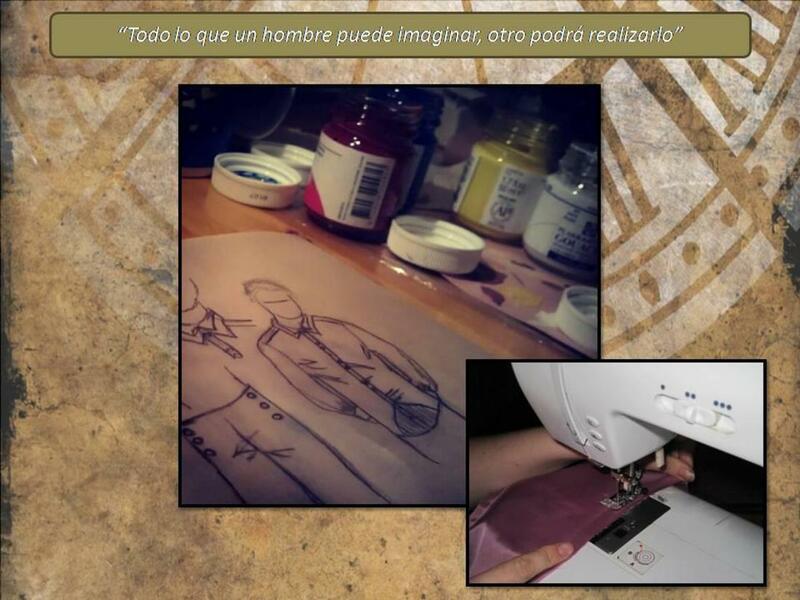 I studied Pattern Creation and Fashion Design in Madrid and started to work designing clothes and accessories for weddings, theatre companies and particular orders. Besides, I’ve also spent the last years collaborating with photographers as a fashion designer and taking some courses (polymer clay modelling, corset design…). Recently, I’ve found steampunk as a great source of inspiration. May your path be golden and green. Escribir una recomendación de Elena Perez Aranda. No se puede decir nada malo de Elena. Una imágen vale más que mil palabras. Su profesionalidad queda más que demostrada. Un beso artistaza!! Grandes personas y profesionales da gusto mirar todos y cada un en especial el tuyo me parece una pasada sigue danadolo todo en todas y cada uno de tus trabajos!! !Abrzos fuertes y animo! !